This blog post has been contributed by Karisa Krcmar from the Counselling and Disability Service at Loughborough University. I am a little hesitant about writing about disability legislation and cuts in funding in a month Centre for Academic Practice have dedicated to inclusive learning. In an ideal word there would be no need to talk about adjustments in teaching or assessments because teaching and assessment and learning would all be … well, inclusive. A disability, or medical, model of teaching puts the emphasis on the individual: this person has a particular problem and so we, as an institution, have to make special arrangements to adapt to this individual so that he or she can reach his or her potential. We have a bumpy playing field and we engage someone else to build a raised pathway across it for a recognised individual. At the same time, there are other players, without a recognised difficulty, but for a whole variety of reasons, they are struggling to cope with those bumps. They get ignored. Then … guess what? The funding for the raised pathway is withdrawn and the cost of maintenance reverts to the owners of the field. The best response to this might take a bit of thought and planning, but why not just level off the whole playing field, making it accessible for all players whatever their individual strengths and weaknesses. This, in effect, is the scenario we are facing in the HE sector. All the different services within the Counselling and Disability Service (mental health support team; study support service; counselling service; note taking service; disability office and needs assessment centre) work with students and departments to provide that pathway through the playing field and help departments to understand, and comply with, the law. 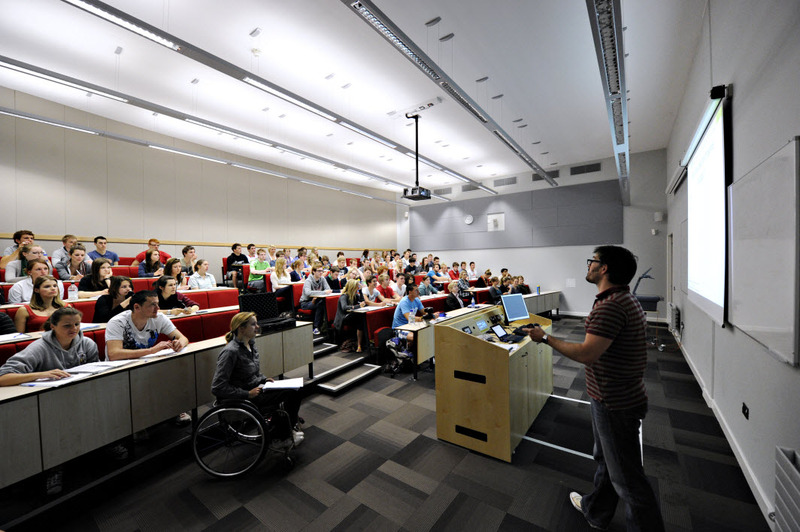 Students with disabilities have also been able to access a grant called Disabled Students’ Allowance (DSA) and this has paid for many of the services: for example, specialist study support and note taking. This has allowed students to successfully access the curriculum and complete their degrees. We do know that the Equality Act of 2010 has not changed. But we anticipate that funding the pathway will change from DSA to the university – i.e. your department and you will be asked to provide more in the way of support for your students. Wouldn’t it be easier to spend the time now just to consider how you can level the whole playing field and make it more inclusive for all students? Design for inclusivity; teach for inclusivity; assess for inclusivity and feedback for inclusivity. That way, there will be real inclusive learning which embraces all students – it will be legally compliant but even better, it will be good planning, teaching and learning. Did you know that there are approximately 200,000 students in HE who have a declared disability (DIUS,2009)? I was made aware of this in an online session about eLearning and accessibility. As online content providers, it is our responsibility to ensure that we design resources which are as inclusive as possible. But how can we do this if we do not know much about the disabilities themselves? Here is a link to a site that contains a collection of simulations for various disabilities. It gives us a useful insight into the difficulties faced by these students.